Top 10 ideas for a healthier Easter Basket and fun things to fill your Easter eggs with this year. Healthy treats and prizes that all kids will love! I hate how most holidays are centered around unhealthy food, especially for kids. Somehow sugary, dye filled candies have become the center of everything. 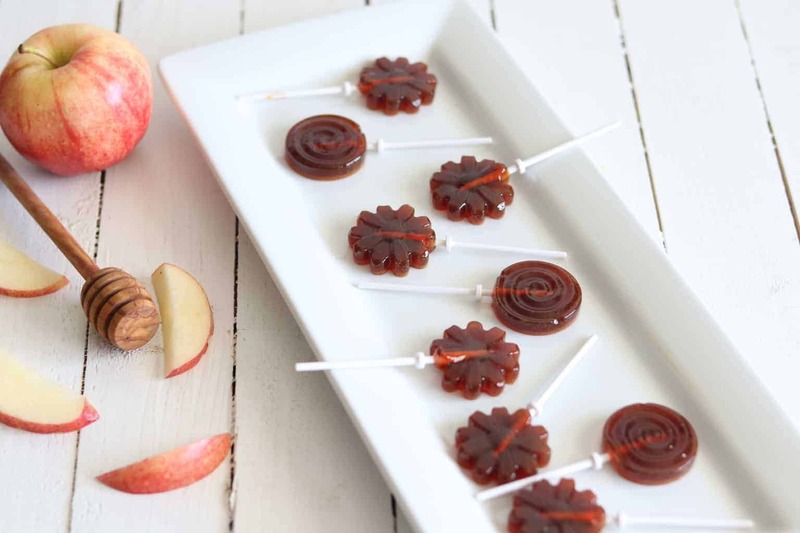 With a little creativity and wholesome ingredients your kids can still enjoy all the holidays. I remember how exciting all this was as a child, and I want my kids to have similar memories. Instead of filling their baskets with jelly beans and chocolate bunnies I chose to go a different route. They still get Easter baskets and egg hunts, just a little different then I remember as a kid. Lara bars are a fruit and nut bar that literally only have dried fruit and nuts. My kids are obsessed with them! I buy a few boxes of Lara Bar minis, they come in half sizes, and they fit inside of the larger size Easter eggs. You can find Lara Bars on amazon. Blueberry, cashew cookie, and banana bread are a few of our favorites! Filling Easter baskets with apples, bananas, and oranges are a great filler and adds lots of color. All kids love fruit and us moms love that they are getting something with some nutrients. My favorite memory of Easter is definitely egg dying! Hard boil some eggs and let the kids dye or decorate them. 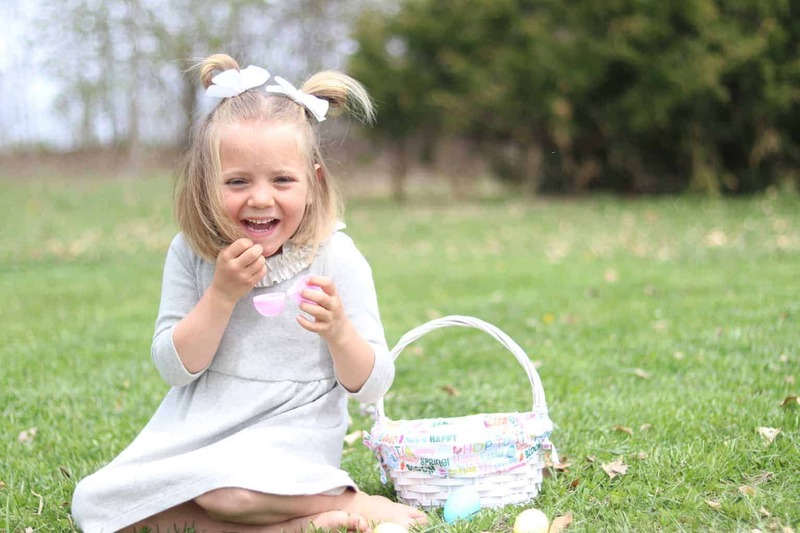 Adding a few colored eggs to your child’s basket is a great addition and healthy snack. You can buy natural dyes on amazon or you can make your own. 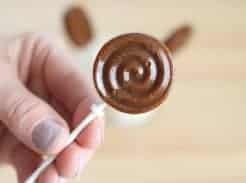 I recently shared my homemade healthy suckers on the blog and these make a great addition to any child’s Easter basket. They are sweeten with coconut sugar and honey. You can add essential oils for natural flavor. Check out the recipe HERE. Last year I kind of dropped the ball on Easter. After doing a last minute trip to the store I realized I forgot to get anything to fill eggs with. My husband suggested popcorn, umm ok why not? The kids loved it and it was super cheap! We popped a big pot of popcorn and filled the eggs. They were very happy to have found popcorn filled eggs and I plan to fill more with popcorn again this year. All of my kids love stickers! I always put a sticker pad in all of their Easter baskets. Then I buy an extra pack of stickers to cut apart to fill eggs with. Now that it is warm out we are spending a ton of time outside. We are always looking for more outside toys. Sidewalk chalk is prefect for kids and looks great inside an Easter basket. For a younger child, you can add a spring or Easter themed coloring book with a little box of crayons. For an older child, you can add a cute journal and gel pen. All my kids love having their very own lip balm. I have a simple homemade lip balm recipe that is made with all natural ingredients and you can make a lot for cheap. I will throw a couple lip balm tubes into everyone’s basket. An essential oil roller bottle is another favorite for Easter baskets and stockings. You can make a fun spring blend or perfume, or even a roller bottle for sleep, what child doesn’t need that? Check out some of my favorite spring roller bottle blends below. This is a great blend for kids or adults. Citrus oils are very uplifting, can promote positivity, and help you to stay healthy. This blend smells fresh and clean! 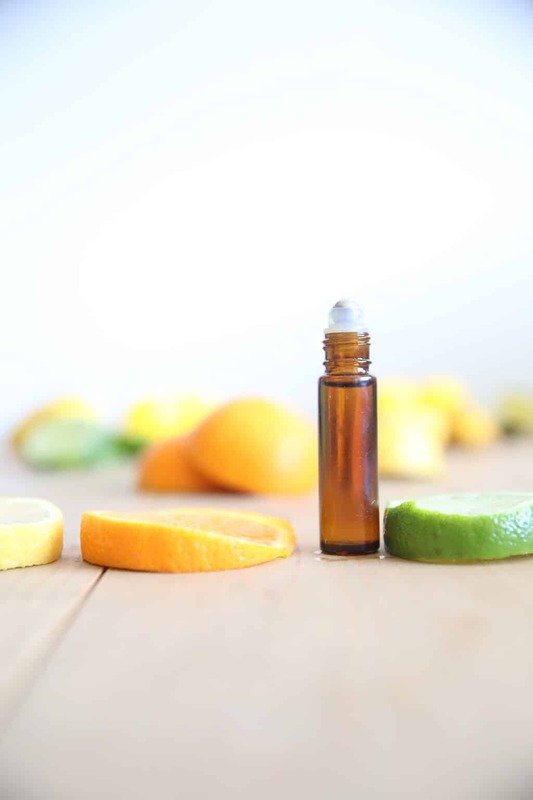 Learn more about citrus essential oils HERE. Add all the essential oils to a 10mL roller bottle and top off with fractioned coconut oil. This blend may be needed after all the fun Easter festivities. It can be used to promote a better night sleep and it can be used help calm the mind and body. This roller bottle is filled with all the smells of Easter. 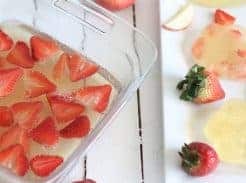 With a mix of floral and citrus, this blend smells amazing and makes a wonderful homemade perfume. Get more spring blends HERE. IS THIS TAKING IT TO FAR? I am sure some of you are thinking, it is just one day. Why worry about it? Yes Easter is just one day, but unhealthy food comes into the picture almost daily. I had to put my foot down somewhere. Every time we go to the post office or bank, someone is offering my kids candy. They see it in the check out lanes at the grocery store. We have events at church, birthday parties, and grandma’s house. Thankfully, the grandmas are on board! You can read more about it here, but basically it is a diet designed to heal a leaky gut. It isn’t a half way diet. If you are truly on GAPS there is absolutely no cheating. It isn’t a diet that is meant to last forever, but rather a diet used to heal a particular aliment. Thankfully, it truly worked for my son! 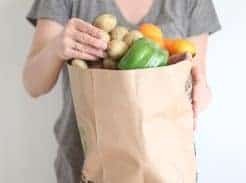 While we are on the GAPS diet I got really used to packing food everywhere we went and my kids were already used to what we could and could not eat. It is very freeing now that we aren’t on the diet anymore. However, we didn’t go right back to the “normal” way of eating. We added many of these healthier choices into our normal life. On occasion, we go out to eat and my kids eat whatever they want. They have had regular candy. They have had processed foods and sugar. But when we are home, we eat healthy. When it comes to holidays, I do the best I can to keep my kids sugar intake minimal. I won’t make a huge deal if someone gets a sucker or a jelly bean. We can only do so much, but I will do my best to offer healthier options for them. We will start Easter off with a fun Easter egg hunt and Easter baskets full of prizes and healthier options. 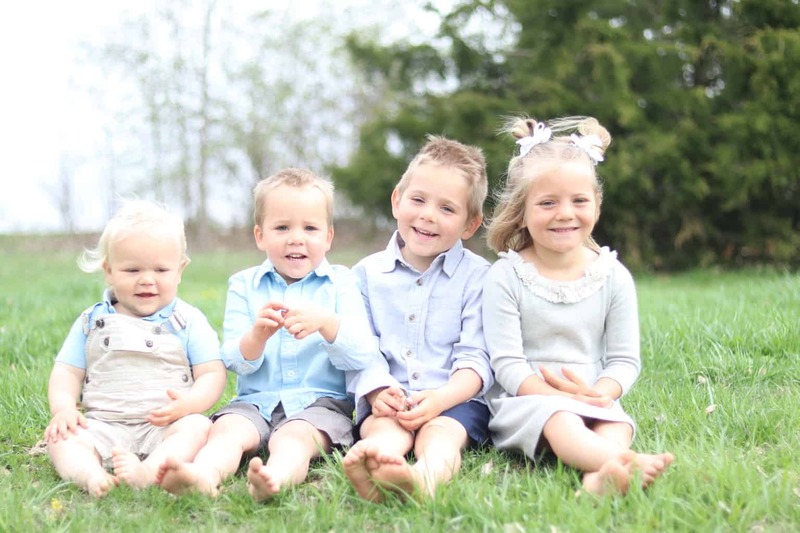 My other goal is to make the holiday more about playing with cousins, finding eggs, and taking about Jesus, rather than food. 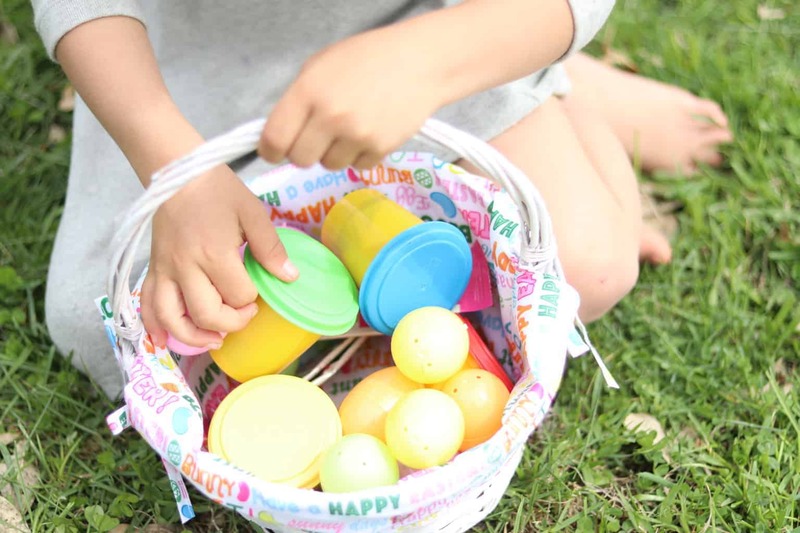 What are some fun things you have filled your kids Easter baskets with? Share your healthier options in the comments below! Yes for two full years!! It wasn’t easy but sooo worth it! It is amazing what diet can do for you!